I am a very sedentary, stable person at heart. Oh sure, there’s a thing where I might hare off every once in a while and go on an adventure, but usually there’s a fair amount of internal grumbling and crabbiness first. I like my bed. I like being able to go to my favorite falafel restaurant on Mondays. I like my local library. I have a comfy chair. And yet, I find myself frequently giving all of these things up to travel somewhere ridiculous in the world or go live in a missile silo or tramp around a jungle for a while. So when I say that I can relate to Bilbo, I really mean that I can relate. 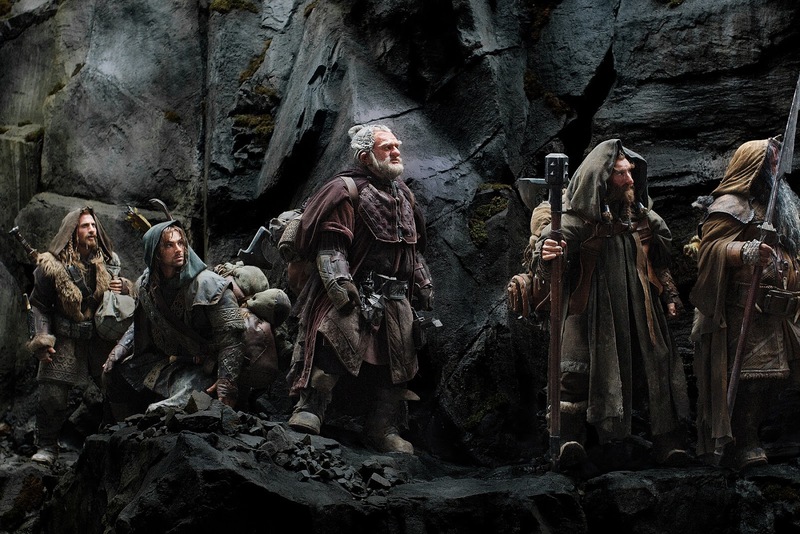 Needless to say after that intro, I have seen the newly released Hobbit. I was excited enough about it to go to the midnight showing, and while my body is still pissed at me for that (more for the two liters of caffeine it took to get me there), I had a fabulous time and really enjoyed the movie. Yes, I saw it in 3D. No, I didn’t see it in 48 fps. I saw it in pretty much the only version that my little movie theater offered. Besides, I’m not a very visual person, so I probably wouldn’t have noticed either way. With that out of the way, though, let’s actually talk about the story! Now, I know that some people were a bit miffed when we discovered that The Hobbit, a very short little book intended for children, was going to be snipped up into not just two, but three separate movies. It seemed excessive. Well, having now seen the first part of that trilogy, I can say that our faith in Peter Jackson was justified, and they’re going to be very good movies. 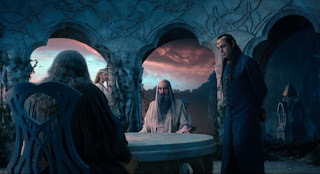 He’s managed to combine a lot of external information generally only found in The Silmarillion or the Appendices, and mushed it into the story in a way that makes a fair amount of sense and gives a much wider image of life in Middle-Earth. But how did that work out for the movie? 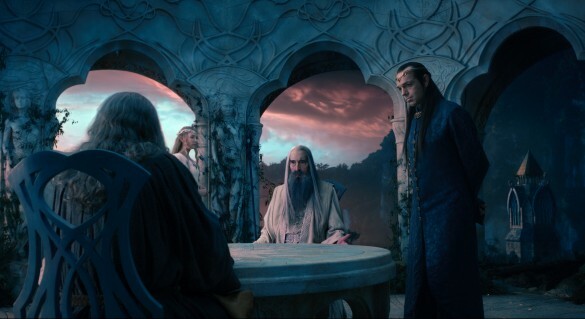 A lot of the people I talked to, who primarily know Tolkien’s works through the film adaptations, were actually a bit disappointed in the movie. Not because it was bad, of course, because it wasn’t, but because it wasn’t nearly as epic as The Lord of the Rings movies were. 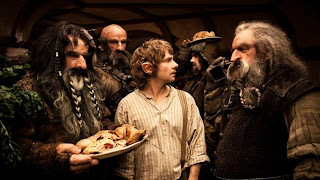 For people going into the film and not having read The Hobbit, it seems a bit of a let-down to realize that we’ve gone from three epic movies about massive armies and overwhelming odds against horrendous evil, to a story that is basically a jaunty tale of Uncle Bilbo and some wacky dwarves going off to find a magic ring and fight a dragon. I agree, compared to The Lord of the Rings it is a little underwhelming. But the important thing to remember is that it’s sort of supposed to be. JRR Tolkien wrote The Hobbit first, for starters, when he was still a soldier in WWI and wanted something that could take his mind off the trenches. It got published as a happenstance, and when the publisher asked for a sweet little sequel to their adventure story, they were shocked and baffled when they got The Lord of the Rings twelve years later. So, yes, The Hobbit is much less epic than it’s steroidal younger brother, but it’s supposed to be. More than that, though, The Hobbit is an actual personal story. 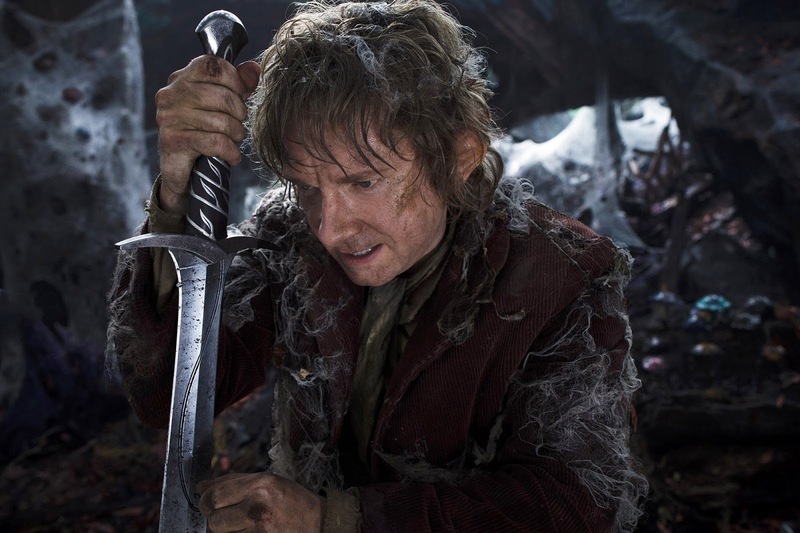 While The Lord of the Rings features armies and small people against incredible odds, The Hobbit is about self-discovery. It’s all about Bilbo Baggins realizing that he does want a life more exciting and bigger than the one he’s built for himself in Bag-End. He wants adventure, and he’s willing to be a bit uncomfortable to get it. It’s a lot less grand and noble, but it’s a story that I think we can (or at least I can) relate to more easily. I’m comfortable here in my hobbithole. The world out there might be big and scary, but in here I’ve got tea and toast and a lovely down comforter. Also wi-fi and a Netflix subscription. Who needs adventure? Well, I do. The problem with being comfortable is how easy it is to stop looking past your own front door. And there is so, so much more out there. When you’re comfortable it’s easy to forget that there are millions of people who literally live in dumps, and who are likely happier than you are. It’s easy to forget about starvation and war, but it’s also easy to forget about diving the Marianas Trench or climbing a mountain in Patagonia. When we settle for comfortable we lose the epic along with the tragic. Or, to put it in Bilbo’s terms, if we don’t leave Bag-End, we don’t get nearly eaten by a dragon, sure, but we also don’t get a magic ring or a special sword or the adventure of a lifetime. And that’s sad. The value in stories like The Hobbit, which may not be about great armies and the changing of the world, is that they’re about the changing of ourselves. The Lord of the Rings is brilliant, I don’t dispute that, and I think it can radically impact us if we let it, but The Hobbit is personal. 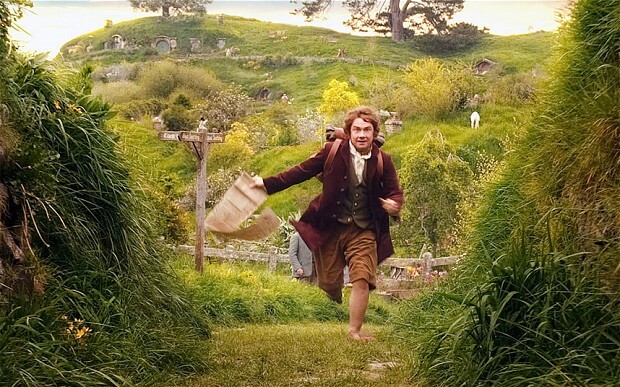 It’s about a comfortable little Hobbit who found a world outside his front door and struck out for adventure. That’s good. And it’s okay if that’s all the movie is. As a side note, of course, that isn’t all the movie is. 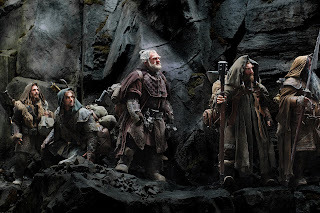 I mean, it is at the heart of things, but this being a Peter Jackson production, there’s also some really fantastic stuff with Radagast the Brown (another wizard, played by Sylvester McCoy), epic dwarf stuff, and a strong sense of the creeping evil that signifies Sauron’s return to power. All very interesting, and all worth checking out. But Bilbo is the heart of the story. Bilbo who doesn’t want to go, but realizes that if he doesn’t, he might as well be dead already. YES!!! I haven't read the Hobbit, nor seen the movie, but I read KMWW all the time, and I really get where you're coming from with this (I'm a travel blogger and travel writer who lives a comfy life in her hometown of Boston, but CONSTANTLY thinks about the next adventure). I just wanted to let you know how much this resonated with me - preach! Always nice to know that someone else gets it too!